EIGHT ‘long-lost’ Brough Superiors together worth up to £340,000 have been discovered in a barn in Cornwall. The machines were thought to have been destroyed and have been dubbed the 'Broughs of Bodmin Moor' because of disagreement over whether they really existed, according to Ben Walker, International Director for auctioneers Bonhams. The mystery was solved when they were discovered partly buried under dust and machinery, Walker said. 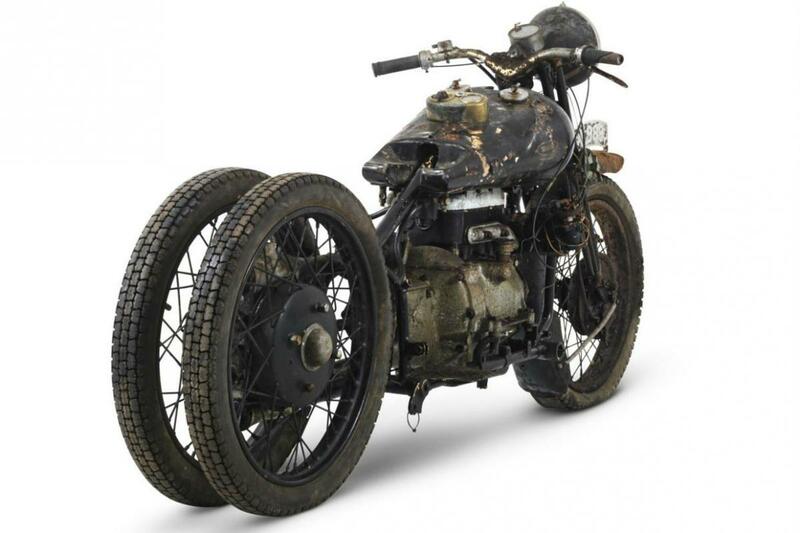 The collection includes a four-cylinder Brough Superior, one of only eight to be built and the last to be accounted for. Walker said: ‘This is one of the greatest motorcycle discoveries of recent times. A lot of mystery surrounds these motorcycles, as very few people knew that they still existed, many believing them to be an urban myth. There was a theory that they still existed somewhere in the West Country, but few knew where, until now. 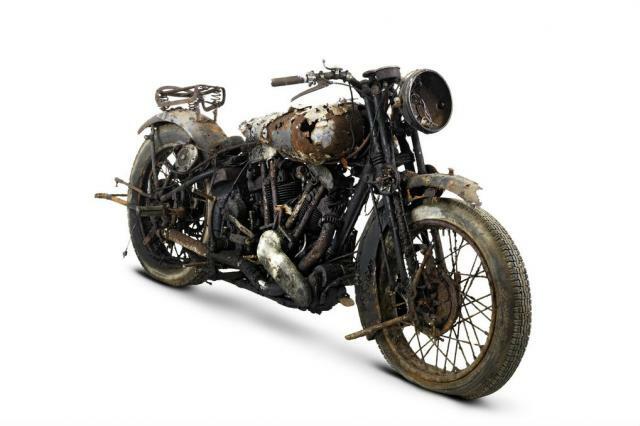 ‘Stored in barns for more than 50 years, the motorcycles were discovered whole, in parts, and some were partially submerged under decades of dust, old machinery parts and household clutter. Most of the bikes have been unused since the 1960s, when they were acquired by the late vendor Frank Vague. 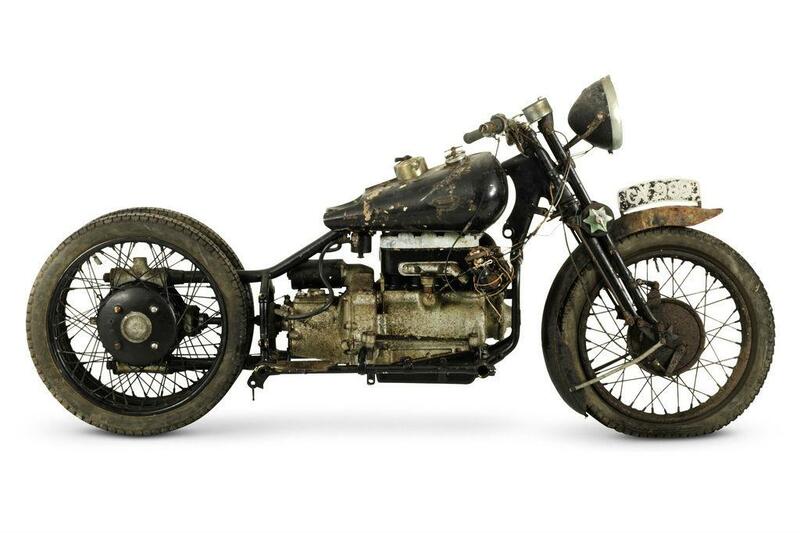 The highest estimated value is £80,000-£120,000 for a twin rear-wheeled Brough Superior 750cc BS4 which was owned by Hubert Chantrey, a friend of George Brough. The collection also includes a 1938 982cc SS100 estimated at £60,000-£80,000 and a 1926 SS100 estimated at £30,000-£40,000. The lowest estimated value is £6,000-£8,000 for a 1936 SS80 in pieces. The combined upper estimate for the whole collection is £340,000. The bikes are to be auctioned at the Bonhams Sale of Important Collectors’ Motorcycles at Stafford on April 24 2016.